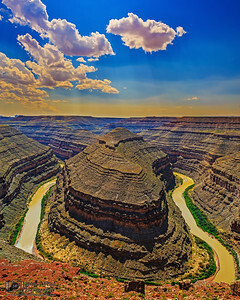 In southern Utah near Arizona, the San Juan River meanders its way through a series of gooseneck turns cut 1,000 feet deep into the canyon below. 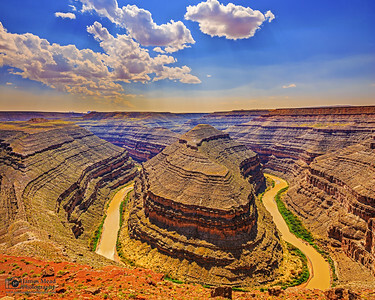 The San Juan flows through here as an entrenched river, its incised meanders (entrenched meanders) making tight turns as it flows through the Canyon on its way its confluence with the Colorado River at Lake Powell. 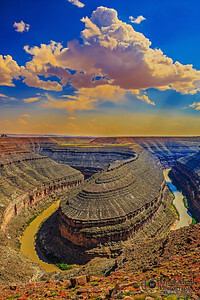 The Goosenecks are a classic example of incised meanders. 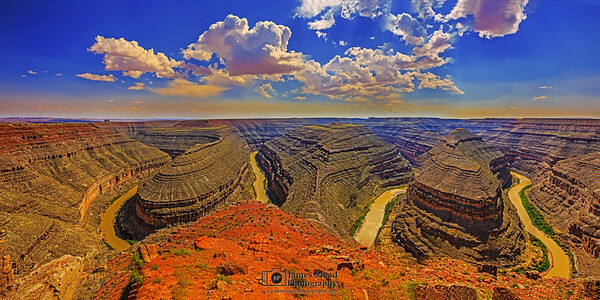 The San Juan River Meanders through the Gooseneck Canyons of Utah as sun rays shining through smoke and haze create a golden glow in the sky. 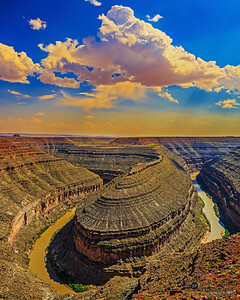 The San Jaun River meanders through the Canyons of Utah as the sun casts a golden glow in the sky. 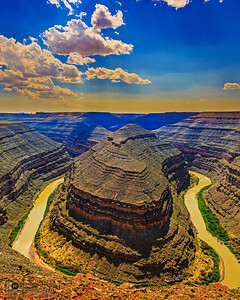 The San Juan River meanders through around the bend and through the canyons 1000 feet below.